Memorial markers covered the site of the Station nightclub fire in West Warwick, R.I.
NEW YORK — The campaign for a planned memorial at the site of a 2003 nightclub fire that killed 100 people is getting closer to completion, as survivors of the blaze and family members of those killed held a memorial service Sunday to mark the 13th anniversary of the fire on Feb. 20. Organizers of the memorial at the site of The Station nightclub in West Warwick revealed on Sunday that they have raised $1.6 million of their $2 million goal. Construction has begun on the memorial, and they say workers are on track to complete it by October. The fire was sparked by pyrotechnics for the rock band Great White, which set fire to flammable foam used as soundproofing inside the club. More than 200 people were injured. 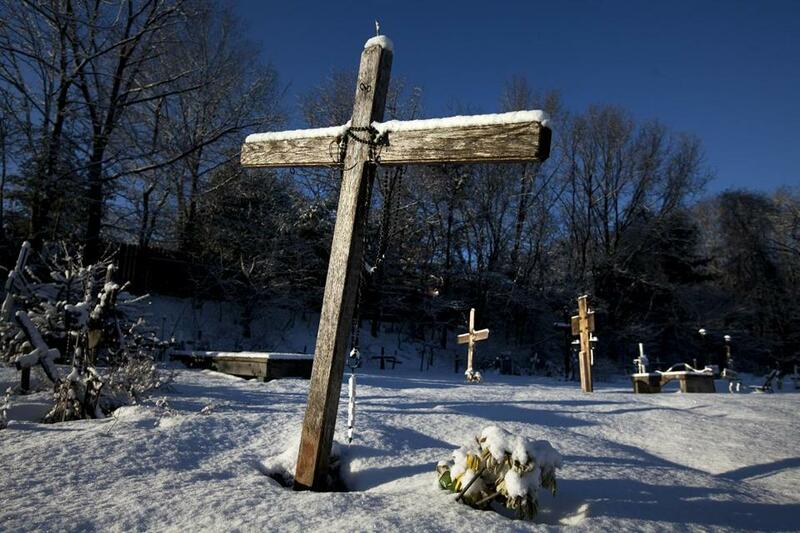 The lot where the club once stood was turned into a temporary memorial with handmade crosses and other mementoes. That has now been removed while crews work to build a permanent memorial park. Sunday’s ceremony was held at Warwick City Hall and included a reading of the 100 names of those killed, as well as music and other remembrances. Organizers also made an appeal for the families of those killed to send a photo of their loved one that can be etched into a granite marker and placed at the memorial, Russo said. They also announced a multifaith fund-raising campaign that will involve congregations around the state. The Rhode Island State Council of Churches is working with congregations on the campaign from May 6 to May 15. Congregations will take different approaches to raising money, said the group’s executive minister, Rev. Don Anderson. Some might hold a special collection one Sunday while others might have their youth group hold a spaghetti supper, for example, he said. He said he expects at least 150 congregations to participate and hopes it will be hundreds. The money raised will help to pave a walkway at the memorial with bricks containing the names of the congregations that participate. Anderson said it is important for the state’s churches, synagogues, and mosques to participate in the effort to memorialize what many have called Rhode Island’s 9/11. 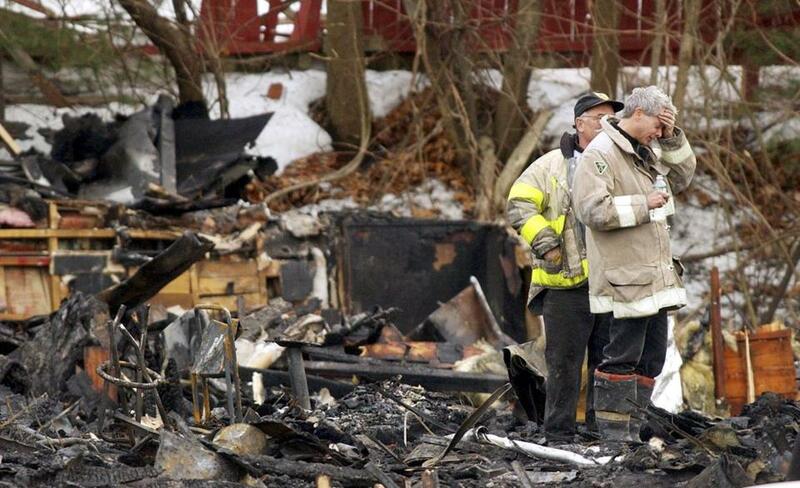 A firefighter held his hand to his forehead as he stood amidst the rubble after the fire.